The Cozumel Fox (Urocyon sp. nov.) is a species of fox which is close to extinction or already extinct. The last recorded sighting was 2001. It is (or was until recently) endemic to Cozumel. 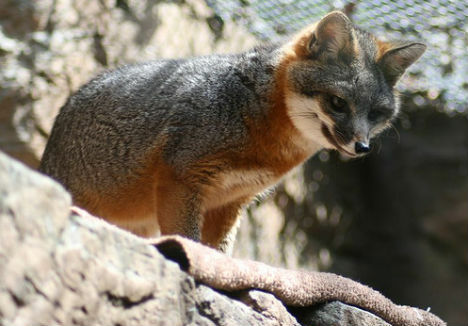 The Cozumel Fox, which has not been scientifically described to date, is known to be a dwarf form similar to the Island Fox but slightly larger, being up to three-quarters the size of the Gray Fox. It had been isolated on the island for 5,000 to 13,000 years.